Switching from one plan to another is a really simple thing to do. 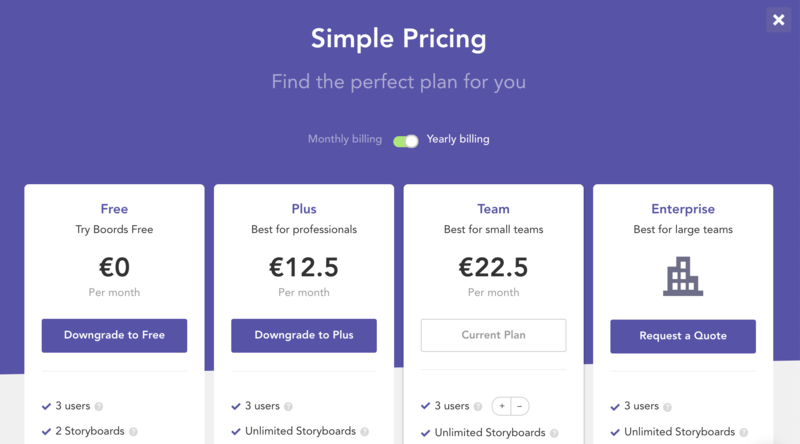 Whether you’re changing from a single-user (Free or Plus) to a Team plan or vice versa, this can be done from within the Account section. 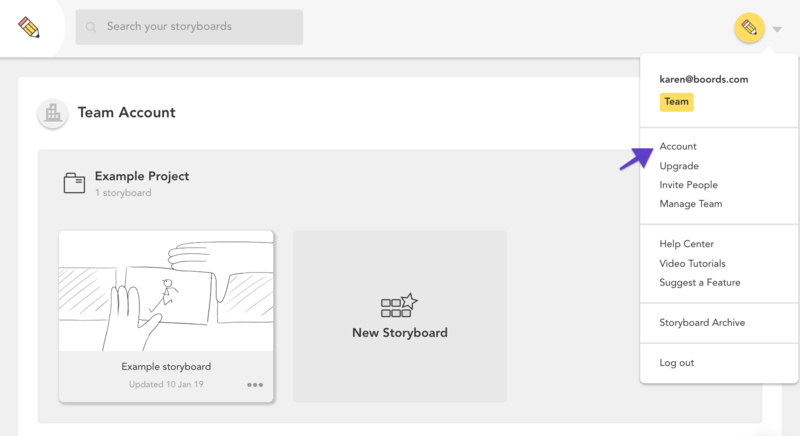 On the Project Dashboard, click your profile image in the top right-hand corner and from the dropdown menu, select Account. 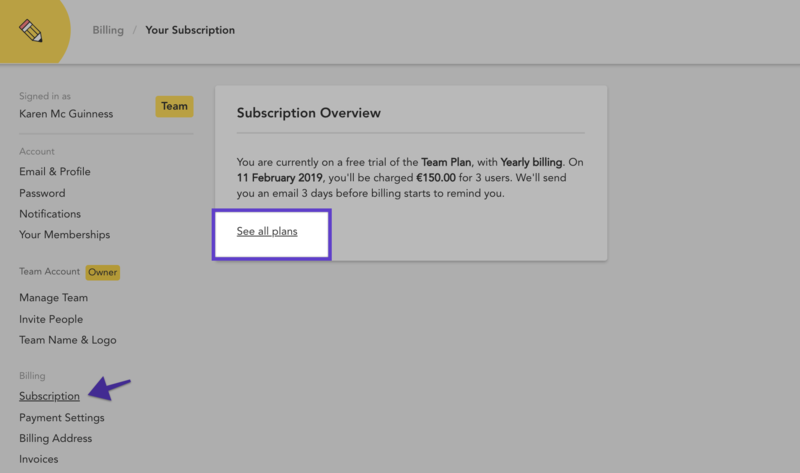 Select Subscription - then See all plans. Here, you'll see which plan you're currently subscribed to and can choose the plan you'd like to change to. Any previous payments you've made will be taken into account and the next payment will be calculated on a pro rata basis. 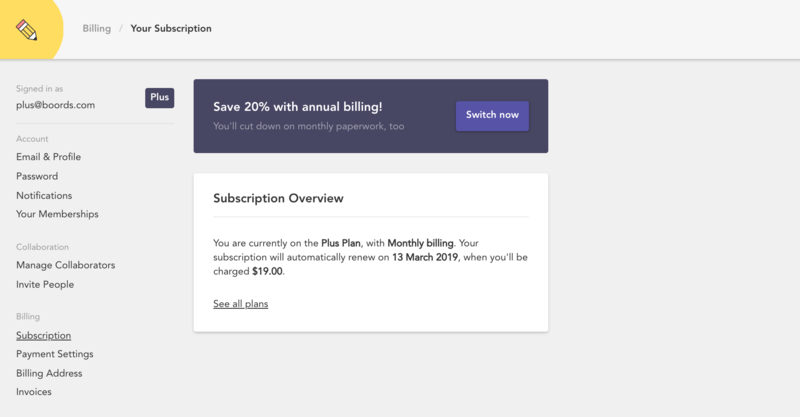 If you're currently subscribed to a monthly plan, you'll see the option to switch to yearly billing on the Subscription page.